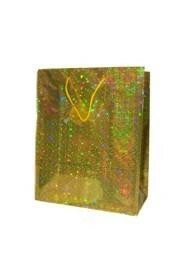 A medium gold hologram shopping bag. 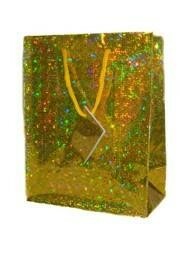 This bag measures 12.5 inches x 10 inches x 5.5 inches and has gold handles for carrying. 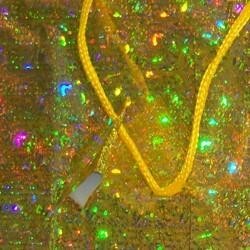 A large gold hologram shopping bag. This bag measures 15 inches x 11 inches x 4 inches. These have gold handles for carrying them.